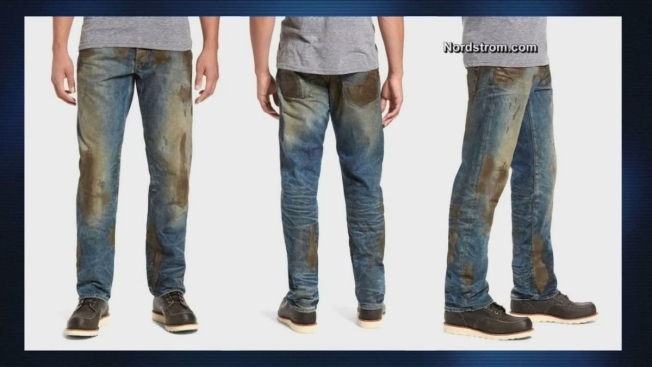 TV host Mike Rowe blasted them as "a costume for wealthy people who see work as ironic – not iconic"
Nordstrom is lighting up the internet with some expensive jeans that are caked in fake mud. On its website, the luxury fashion retailer is selling a pair of working class-inspired jeans coated with what Nordstrom calls "caked-on muddy coating." The Barracuda Straight Leg Jeans "embody rugged, Americana workwear that's seen some hard-working action" and when worn show "you're not afraid to get down and dirty," according to the description online. It quickly generated a storm of interest online after TV host Mike Rowe blasted them as "a costume for wealthy people who see work as ironic – not iconic" in a Facebook post." Nordstrom didn't immediately reply to request for comment from NBC over the internet's response. 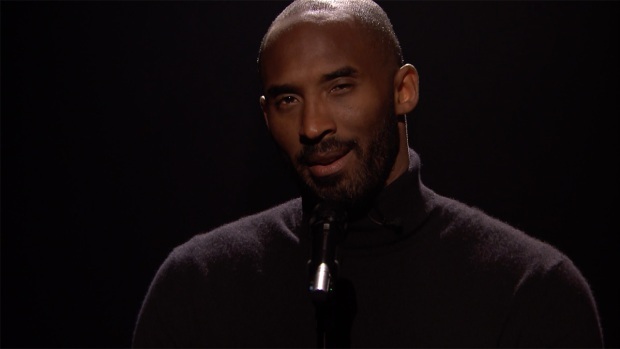 Kobe Bryant performs a slam poem about the 1990s sitcom "Family Matters" and its characters.